Every year I help the kids make ornaments for grandparents but I usually don't get a chance to share them as I want to keep them secret until they are given and then I forget to post. So as we unpacked ornaments to decorate the tree, I saw last years cute fingerprint Christmas lights ornament we made and thought I'd share. I found these cute mini canvases at a local big box store. Each member of our family added a fingerprint. Then after it was dry I used a sharpie to draw the wire and tops of each light, as well as the year on the canvas. I used a glue gun to attach the ribbon for hanging. And Done. 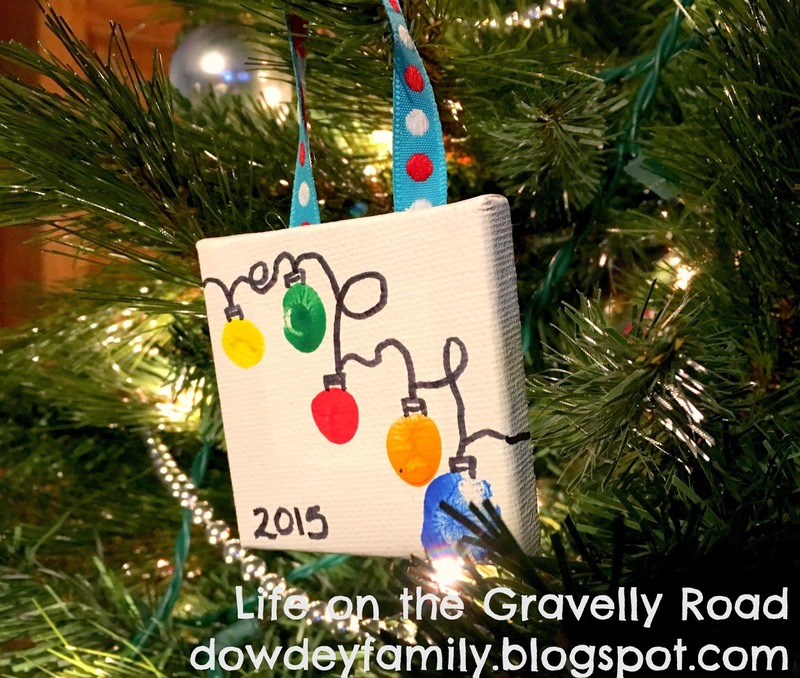 Cute keepsake ornaments without a lot of steps or elapsed time. A fun project from our home on the gravelly road.